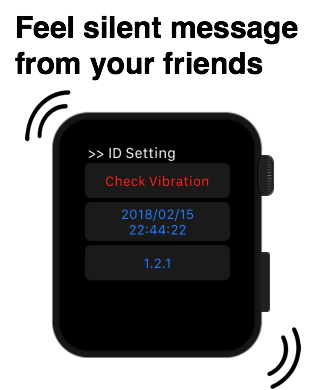 I will report the function of Apple Watch APP, titled SendOriginalVibration. 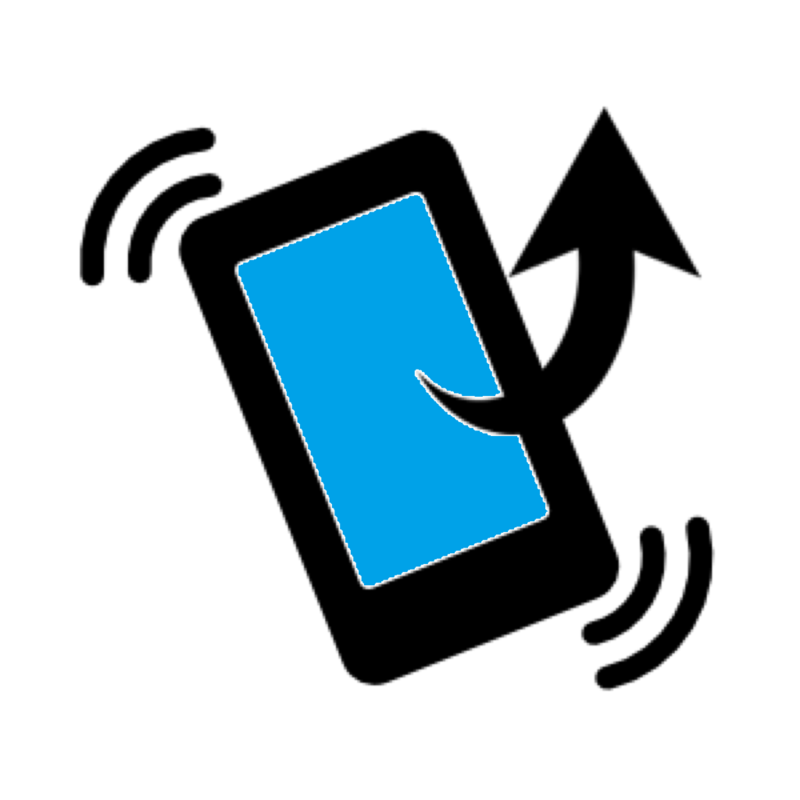 This APP is used with the other APP, titled CallOriginalVibration which is now for free. Please try to feel the vibration with these two Apps. Please be careful. iPad, iPhone6s or older device cannot receive the vibration. They will receive only red flash. Anyway, let’s start the App. You can make the short cut at the front screen like this. At first, you need to create ID. English or number is acceptable for the ID. If you want, you can easily create the ID with the button of Auto ID. In this case, current time will become your ID. For the next step, you need to create key word. It is fine for you to make it as the current time from the button of Auto Set. But, the key word is what you have to share with your friends so the easy one would be recommended. Let me try to create the original word. If you are not English speaker, change the language into English from force touch. And, make it as “kwd”. After you set it, there appeared the number, titled “1.1.1” under the key word. This is the vibration signal. This means one vibration per one second occurred and repeat it 3 times. 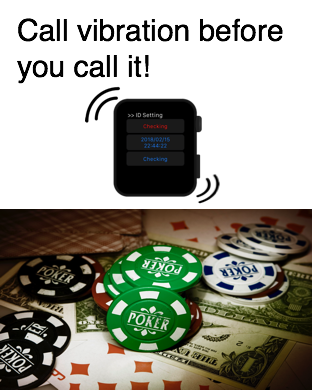 If you change this number, the vibration signal is also changed. 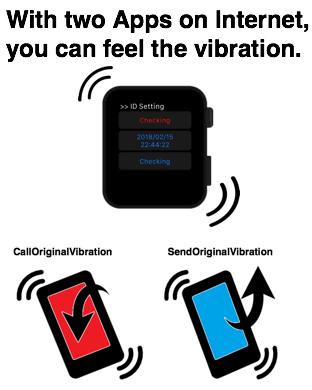 Now, it’s time to set the other APP, titled CallOriginalVibration on your friend’s device. 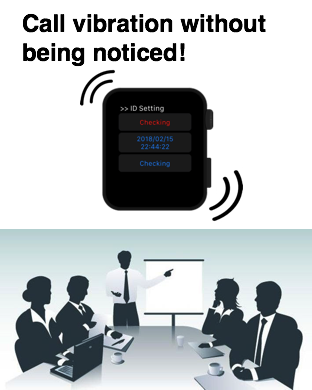 iPhone or Apple Watch would be fine for this setting. Let me do it on my iPhone in this time because I don’t have two Apple Watches. After you start it, you need to set the key word at first. Please type “kwd” which is set on SendOriginalVibration. After you set it, press the call button. You can see the red flash which is repeated 3 times. It is difficult to tell you the vibration on this movie. But actually, you can feel the vibration like “Tap, Tap, Tap” in this case. On the other hand, let’s change the signal from “1.1.1” to “1.2.1” on Apple Watch. And then, confirm it on iPhone. Can you feel the signal of “Tap, Tata, Tap” as “1.2.1”? How about the signal of “1.1”? With this function, you can make a rule in your family. For example, you can make “Tap, Tap, Tap” as “I am now in the office.” while “Tap, Tata, Tap” as “I will go home”. In this way, you can make some communication with the vibration. Please try these two Apps, SendOriginalVibration and CallOriginalVibration.